Olivhairsupply is an African owned business that is about to be establish in Berlin Germany. 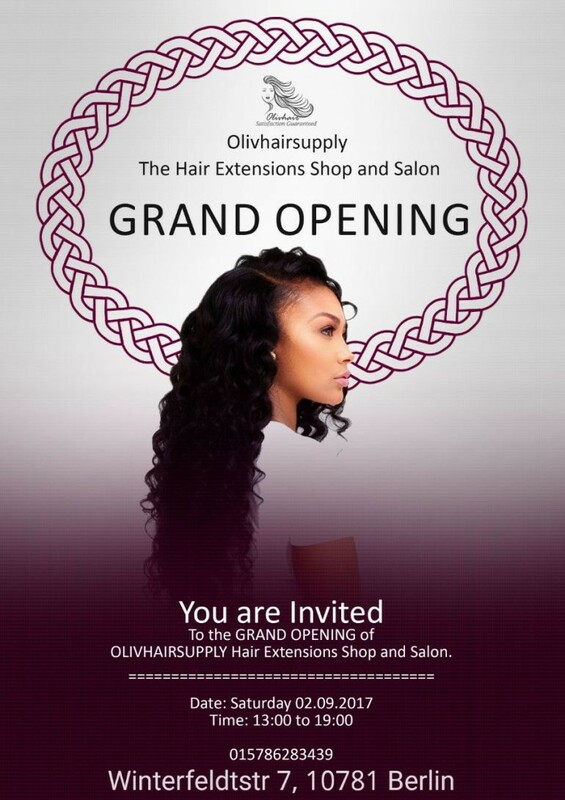 Olivhairsupply is not only a salon where you can make your hair, but you can also buy hair products and hair extentions. don’t miss the grand opening, see flyer for details.